Limited edition! 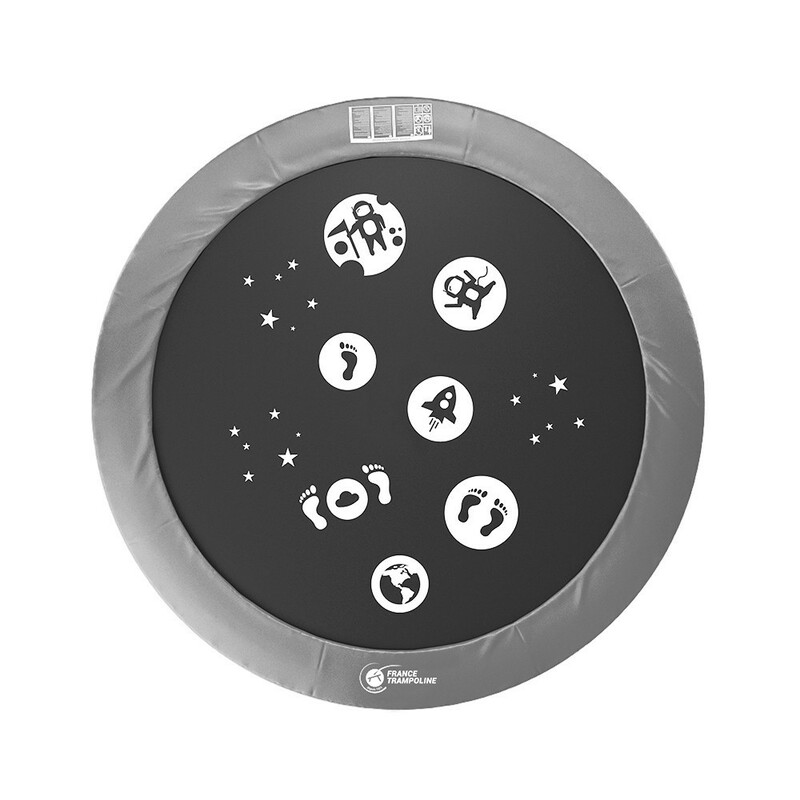 Why not Replace the jump area of your current trampoline with this limited moon edition; superbly decorated with designs of the moon! A playground tailor made for your children. - The fabric is designed for a trampoline with a diameter of 3.66 m (edge to edge) with 72 springs and a length of 180 mm. To check the length of the springs on your trampoline, simply remove a spring from the frame using a spring clip and measure the length between the hooks. - Reinforced with 8 rows of stitching and a reinforced border band, our fabric jump meshes made of a cloth that is extremely tough and tear resistant, additionally, a UV treatment has been applied to prolong its life and so you can leave your trampoline outside all year. -The steel eyelets are hot-dip galvanised to protect them from corrosion. - If your trampoline is not an original France Trampoline product but with corresponding characteristics (diameter, number of springs and size of spring), this jump mesh will be compatible with your trampoline.